It was 20 years ago this past winter that I got an unshakable idea in my head. It was initiated by a flyer posted in my university department building about a semester abroad in China. All things Asian, specifically China, fascinated me. My head and heart were deep in Eastern philosophy and religion and I knew it was something I greatly wanted to do. I wanted to learn and experience this world I was reading, thinking, and wondering about. Unknown to me at the time, this was a life changing event and catalyst for so much more to come. With the encouragement and support of my parents I spent the next month preparing to leave for China. There were Chinese language tapes to listen to and practice with each night, a trip to China Town in San Francisco to buy a dictionary (one I ended up carrying around all my days in China), dreams to dream, trips to plan, and a new world to ponder. This would be my first trip outside North America and although I would be meeting one other student I would be traveling alone and arriving first. 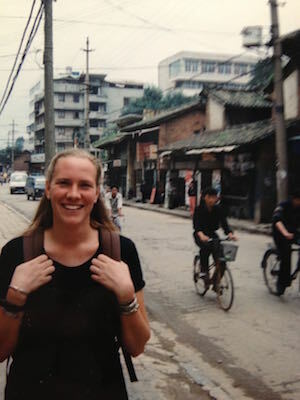 My semester in China was transformative, amazing, and challenging, so much so it’s hard for me to find the right words to encapsulate, or even for me to truly understand what it has meant to me or my life. I saw things I had never seen before, did things I didn’t know I could do, I navigated, relied on myself (and that little red dictionary), figured things out, and found great inner strength and connections to those around me. I saw a world so different than the one I had spent the last 20 some years in with open eyes. I saw people, our common spirit and humanity. I traveled and tried. I realized I was stronger and more resourceful than I knew and there was a big world out there. Sitting on the “roof of the world” under the Tibetan sky that summer I knew I would be back. A few months was just a taste and that began the plans for my return. And I did return a year later after accepting a job teaching English back in China. Without that semester abroad I don’t think I would ever have thought to apply to work in Asia after my graduation. That single trip and time away changed what I thought to be possible. I dreamed bigger dreams, saw new opportunities, and dared to see other visions of the world from a shifting perspective. I wanted to learn about the world, experience something different and live a life that was truly my own. Not only have I changed, my life has changed through the experiences opened up by that first big trip. Yes, I traveled and met interesting people, made some lifelong friends, saw a piece of the world, and realized there are so many more life possibilities. More than specifics though, what has evolved from there is a way of trying my best to engage fully in life and the world and, most importantly for me, to always keep challenging myself to live my life and seek my path, to push myself to make challenging decisions, value the journey, and to keep pushing forward. I have no idea what my life would have been like had I not taken off that semester, but I do know it has propelled me into a direction I could not have imagined. 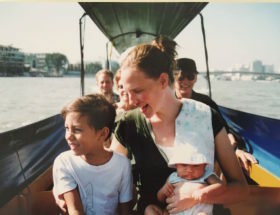 Asia has been my home since those early days in China and in another handful of years I will have spent as many years here in Asia as I did growing up in the U.S. And, along the way I met and married my husband of 16 years. 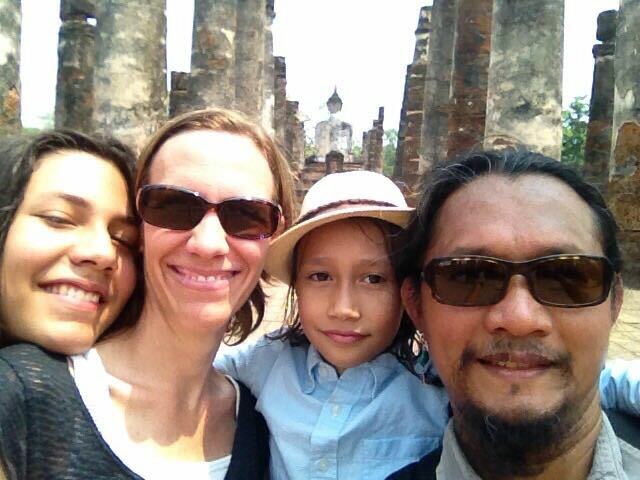 We are now raising two beautiful bi-cultural boys in Northern Thailand and doing our best to help them to navigate their own lives. I hope our boys see our passion for the life we have created together, the decisions we have made and the hard work we have done to make our lives our own. These are all life skills I have learned and will continue to learn. Life skills I began to cultivate all those years ago when I threw myself into the unknown. One of the great gifts of this life for me has been to learn to understand how important it is to get out of our comfort zones and engage the world. Through these experiences I have learned how to be more understanding and compassionate and less judgmental. I have learned invaluable life skills and continue to cultivate those skills while challenging myself to learn new ones. I feel connected to the world and I see our common humanity within it. Along with connection and gaining perspective on life’s possibilities I have grown to greatly value the growth there is in doing hard things, challenging our mindsets and ourselves. This post is one of those things for me. It is a scary place for me to write and send this out into the world, to be so vulnerable with my writing when I am not comfortable with it, but I do it as a practice for living the best I can, and pushing myself to try. To try when everything is not perfect or easy or comfortable, especially then. This is the culmination, this life, this post, this moment, my family, my work, my heart, and my effort, of everything that that first trip set in motion. 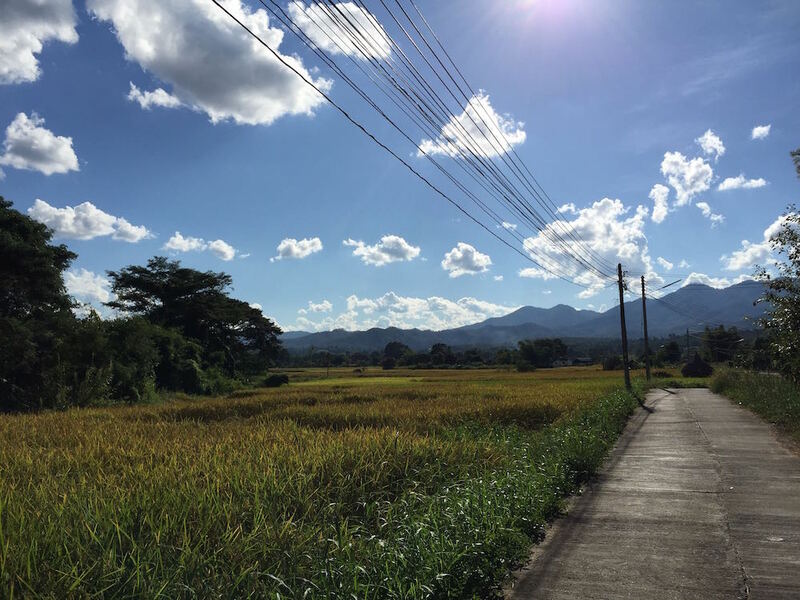 As I sit in my little mountain town in Northern Thailand looking across the green rice fields in front of our home I ponder the thought of what that semester in China meant to me or how it changed my life. The answer is impossible to explain, but the short answer is, everything. 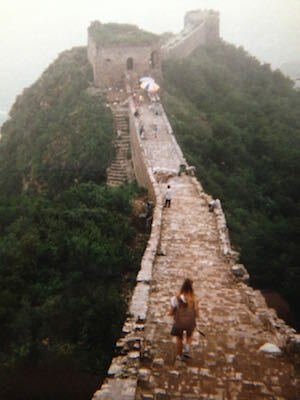 This entry was posted in Study Abroad, Traveler Stories and tagged Alisa Sap-Apisith, China, Study Abroad. Bookmark the permalink.